It will be very convenient if you can control "PayPal" as a billing system from the workflow system "Questetra". 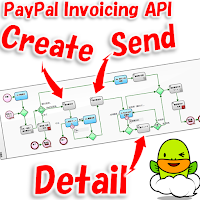 For example, if you create a mechanism that automatically issues a "PayPal invoice according to delivery details" immediately after "product delivery flow" is completed, it is possible to prevent the occurrence of "billing mistake" or "billing omission". If the current situation is a billing operation that mails a "paper invoice", it is also possible to reduce all stamp fee, printing fee and office work labor costs to zero. 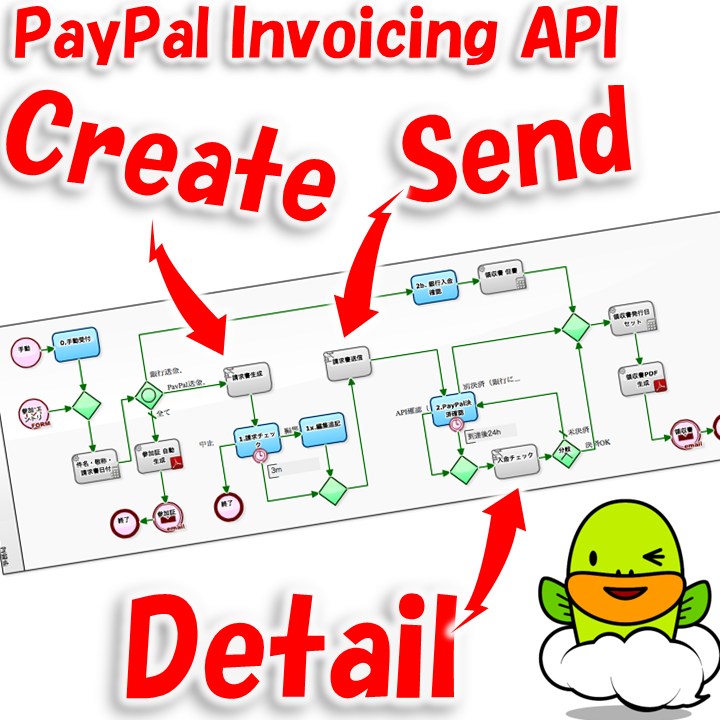 In the previous article, I introduced you mechanisms that automatically instructs PayPal "to generate invoices in PayPal" and "to send the invoice generated in PayPal further to customers". In this article, we will consider assembling the automatic Steps cleverly and making the "payment check flow" unmanned. In the Script Task "Payment check" arranged in this example, "Show invoice details" is requested each time an Issue arrives. It is a mechanism which can detect whether or not payment has already been done (the status of PayPal invoice) by automatically referring to the "response from PayPal" obtained at that time. If it turns out that payment is done, it automatically flows to the Steps of "Receipt issue date set", "Receipt PDF generation", and "Receipt PDF email transmission". ** In addition to that, status check methods such as "Payment completion notification email" or "Webhook" can be considered. I will post sample scripts that to be set in the Script Task "Payment check" below. * For the upstream Script Task of "Invoice generation" and "Invoice transmission", see the previous article. The point is that the value of "ResponseObj.payments  .date" is imported as data of the Issue when the status "ResponseObj.status" of the response JSON object is "PAID". At the Splitting point, it is set to recognize that "the payment has already been done" on the Issues in which the data of "Settlement date" was imported. 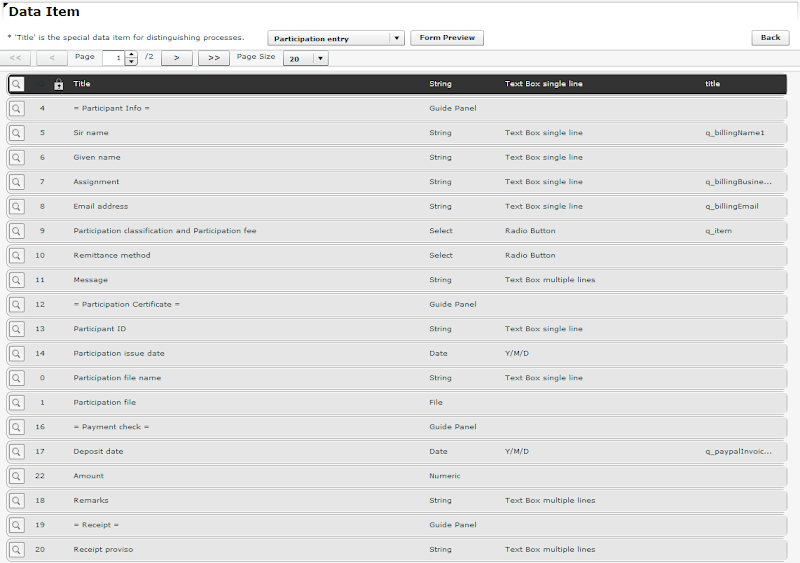 If you need to import more other data, you need to add more items to implement. In that case, SAMPLE RESPONCE of "responded JSON object" is posted together below, so please refer to it as necessary and add scripts as appropriate.